Speak With An Engine Specialist Now ! National Power Supply is the industry leader in new and remanufactured diesel engines and generators. National Power Supply is a proud member of A.E.R.A (Engine Builders Association) and offers remanufactured diesel engines from Caterpillar, Cummins, Perkins and many more. 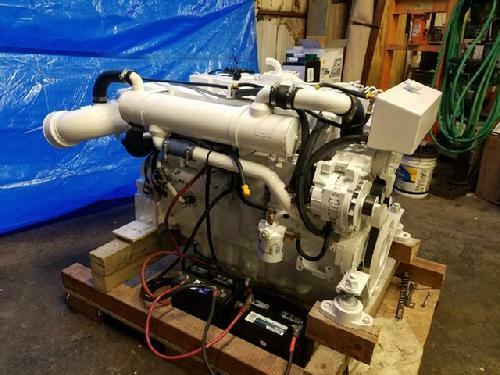 National Power Supply has been featured on CNN, Bloomberg, The New York Times and USA Today for better deals on remanufactured diesel engines. Start saving like our corporate clients do. or send us your engines for remanufacture to 0 Hours with your choice of genuine OEM equipment parts or quality aftermarket components. Great Remanufacture turn around time! Quality work by trained technicians on Cat, Cummins and Detroit Diesel and with Warranty. 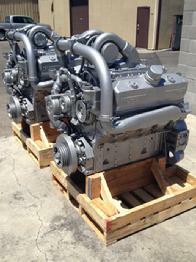 Many types of Diesel Engines are listed on our site pages with special pricing! If you don't see your needs here call or email on any inquiry! If we don't have your needs in our inventory we'll find it at the best price available! e-mail: sales@natinalpowersupply.com for Price Quote and Details. Diesel Engines Power Industry! High torque, Powerful Diesel Engines do the Job. If you've touched it, it's been in a Truck! Your Products we're moved Over the Road by Heavy Duty Trucks powered by Diesel Engines! Call us to save Thousands of Dollars on your Over the Road Diesel engines! National Power Supply staff brag about their ability to locate Hard-to-find diesel engines and have done so often. Through inventory, national/worldwide industry resources and contacts, we'll locate your Hard-to-find diesel engines - large or small! Saving You Time, Money and Concern!